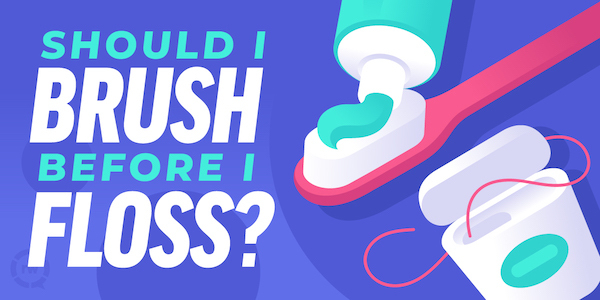 The age-old question – should you floss before you brush or after? If you asked any one of our team members, you just might get a different answer on this one! Floss when it works for you. But make it a habit! Choose the same time every day, floss once a day, and floss thoroughly.